This updated textbook introduces readers to assembly and its evolving role in computer programming and design. 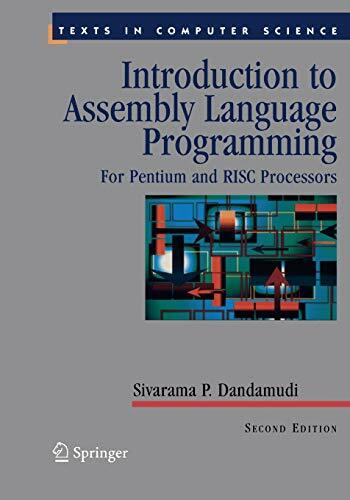 The author concentrates the revised edition on protected-mode Pentium programming, MIPS assembly language programming, and use of the NASM and SPIM assemblers for a Linux orientation.&nbsp;The focus is on providing students with a firm grasp of the main features of assembly programming, and how it can be used to improve a computer's performance. All of the main features are covered in depth, and the book is equally viable for DOS or Linux, MIPS (RISC) or CISC (Pentium). The book is based on a successful course given by the author and includes numerous hands-on exercises.